Precious Moments is celebrating 35 years of their Precious Moments Collectors Club! 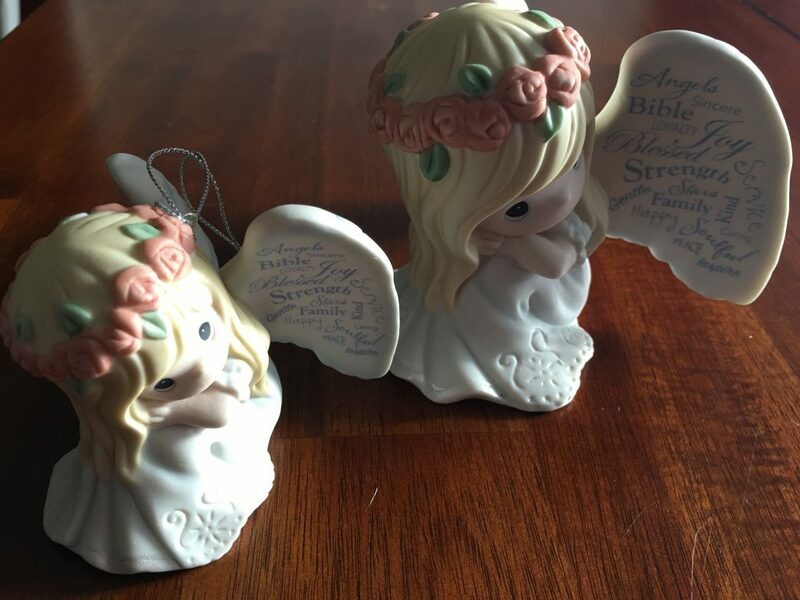 Today they have released a gorgeous new figurine in celebration of this anniversary; May Your Life Be Filled With Blessings figurine AND ornament. This figurine is a new exclusive piece created specifically to celebrate the 35th Anniversary of the Precious Moments Collector’s Club. The angel’s wings have 35 blessings written on them, such as Joy, Family, Service and Peace. AND there are only 2400 available worldwide!! Plus for a limited time, when you buy the figurine you get the ornament for FREE!! Pretty sweet! Especially seeing as the figurine is only $40.99 and you get the ornament too! I was sent a set from Precious Moments and oh my goodness, they are GORGEOUS. The detail is, as always, perfect. The porcelain flawless and truly just a beautiful piece. Perfect for anyone’s Precious Moments Collection. I love that they also include an ornament. Such a stunning addition for the Christmas tree AND, all of the blessings are just lovely. I think my favorite part though are the flowers in her hair. So pretty. I am always amazed by the detail that they put in these things. Look at the detail on the dress! So intricate. ONE lucky US or Canada reader will win this beautiful set. Yup!! How to enter? Just use the rafflecopter below. Good luck! I love all of them! But my favorites are the Disney princess ones!